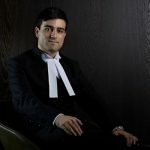 Nicholas maintains a specialist advisory practice, occasionally on a direct access basis, for sophisticated corporations, insolvency practitioners and litigation funders. All direct access or general retainer inquiries should be made directly with him. Prior to being called to the Bar in 2013, Nicholas was an Associate at the High Court of Australia, Tipstaff at the Supreme Court of New South Wales and worked in Banking and Finance at King & Wood Mallesons. He graduated from the University of Technology, Sydney with a Bachelor of Laws (First Class Honours and University Medal) and a Bachelor of Business (Major in Finance) and has held a part-time lecturing position in Commercial Law and Finance Law at UTS for over 7 years.Nicholas is a co-author of the leading text The Annotated Personal Property Securities Act 2009 (Cth).His CV is available upon request.